Things like datetime fields, text fields, and a few others, will need to be converted to valid Postgres types. The text type in Postgres is fantastic; use it. Datetime fields will probably need to be saved as timestamp fields in Postgres. There are plenty of tools out there to help you. PGloader seems like a good tool, but I ended up using a ruby tool called sequel. If you’ve got Ruby installed, or are comfortable setting up a Ruby environment, I suggest going that route. In this case, I was flabbergasted when I experienced how much easier it is to work with Ruby on FreeBSD (the target system) than Debian Linux (the server we were migrating the database away from). Another huge win for FreeBSD. However, these instructions should work with both Linux and FreeBSD (they’re a tiny bit vague because package names will be different between different operating systems). I’ve referenced setting up a Postgres user several times; here’s a quick cheatsheet on how to do this. That’s it! I hope that helps someone else — it’ll certainly help me when I need to do another import of a sqlite3 database to postgres in the future. 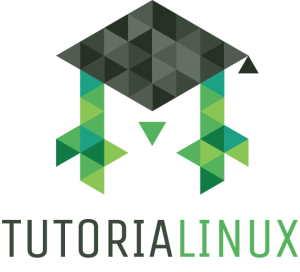 I am new at Linux and watched up to lesson 9 and read (partly) THE LINUX COMMAND LINE, by Shotts. I jumped in and got rid of Windows (GUI user) and now triple boot (Fedora, Ubuntu, and OpenSuse). I love it. I also jump ahead to parse watch videos and of course info and man all the time. Fedora is my go to OS mostly, because Ubuntu has a systemd intermittent failure. init 0 and poweroff and shutdown -h now will not work after a few hours of uptime. I work around by logging out and a hard re-boot at login to preserve file integrity. Great Videos and audio. I think the audio presentation by Professor Munger was enlightening. The audio should be re-mastered/ cleaned up and given to all politicians in our current age.